Looking to build your playlist of the most popular holiday songs? You'd better put Mariah Carey at the top. The pop diva's "All I Want for Christmas Is You" is one of the most-played songs this time of year. (NEW YORK) — Looking to build your playlist of the most popular holiday songs? You’d better put Mariah Carey at the top. 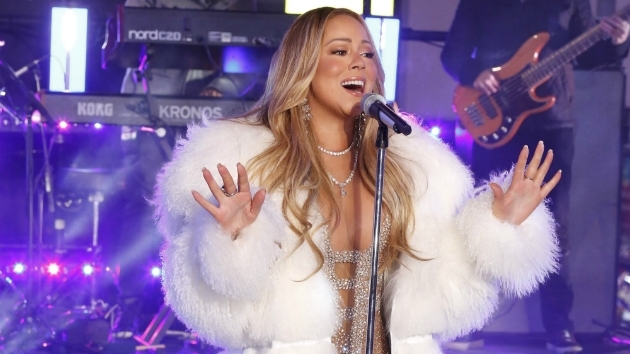 The pop diva’s “All I Want for Christmas Is You” is one of the most-played songs this time of year. In fact, the song tops the 2018 list of the Top 25 Holiday Songs compiled by the American Society of Composers, Authors and Publishers (ASCAP), marking the second year in a row that it’s landed at #1 on the tally. Holiday tunes by other famous veteran pop and rock artists that also made the list include George Michael’s “Last Christmas” at #7, Jose Feliciano’s “Feliz Navidad” at #17 and Paul McCartney’s “Wonderful Christmastime” at #25. In addition, the star-studded 1984 U.K. charity single “Do They Know It’s Christmas?” took the #24 spot. The track features vocals by more than 20 artists, including George Michael, Bono, Sting, Phil Collins, Boy George, Simon LeBon and Bananarama.